KCU's own Dr. Joseph McGuirk (COM '90) returns to the Kansas City campus for this year's Research Symposium as the keynote speaker. Dr. McGuirk is the Medical Director of Blood and Marrow Transplant at the University of Kansas Cancer Center and a Professor of Medicine at the University of Kansas Medical Center. 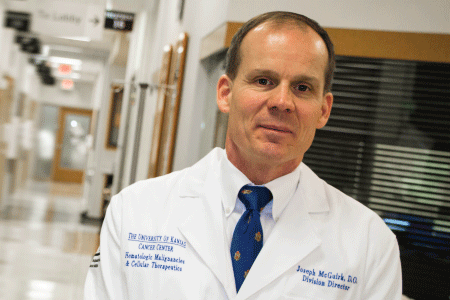 Please read our alumni spotlight on Dr. McGuirk from the KCU Magazine. Dr. Baker is a Professor in the Department of Psychology and Director of the Gerontology Program at the University of Kansas. She received her PhD from Penn State University in Biobehavioral Health, with a concentration in Gerontology, and completed her postdoctoral training at the University of Michigan’s School of Public Health. She is the Editor-in-Chief of Ethnicity and Health (Taylor & Francis) and Editor Emeritus of Gerontology and Geriatric Medicine (Sage Publications). Dr. Baker is the past Secretary of the Gerontological Society of America (GSA) and past Chair of the GSA’s Minority Issues in Gerontology Committee. She is the chair-elect for the GSA’s Behavioral and Social Sciences section. She currently serves on the Editorial Boards of Innovation in Aging and the Journals of Gerontology: Series B. Her research has been successfully funded by the National Institute on Aging, the National Cancer Institute, and the National Institute of Arthritis and Musculoskeletal and Skin Diseases. Dr. Baker’s research focuses the behavioral and psychosocial predictors and outcomes of chronic disease and pain in older adults from diverse race and ethnic populations. 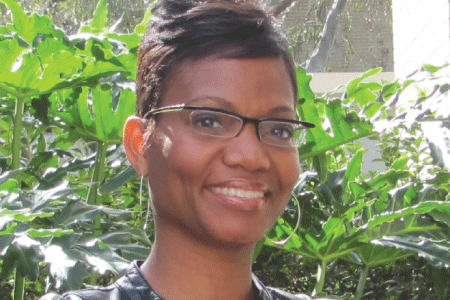 She also examines health disparities and inequities in pain management among older adults. Other emerging interests include understanding the role social determinants have on the physical and mental health, and social well-being and adjustment of older, black adults.